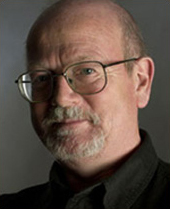 A Dubliner by birth, Eric Sweeney has lived in Waterford since 1981 where he was Head of Music at Waterford Institute of Technology until he retired in 2010. Previously he lectured in music at the Dublin College of Music (now Dublin Institute of Technology) and at Trinity College. He was Choral Director at RTE from 1978-1981. A frequent visitor to North America he has been composer-in-residence at the Newport Festival Rhode Island, Memorial University, Newfoundland, the University of Illinois, Indiana State University and the University of Portland, Oregon among others. He is a member of Aosdána, Ireland’s state-sponsored academy of creative artists. Other commissions have included the Mass of St Patrick and the Evening Canticles for St Patrick’s Cathedral,Dublin, Slow Air for the European Union Chamber Orchestra, and the cantata Hymn to Gaia, a setting of texts from Muslim, Buddhist and Native American sources, together with a range of eco-poetry reflecting on our relationship with the environment. Recent projects include incidental music for the film Down the Ladder commissioned for the Copper Coast Geopark in Bunmahon and Evening: The Lighthouse at Hook Head commissioned for the New Ross Piano Festival. Major works include three concertos and three operas: The Green One (2013), The Invader (2014) and Ulysses (2015). Organist and choirmaster of Christ Church Cathedral Waterford, he began organ lessons while still a choirboy at St Patrick’s Cathedral in Dublin studying with the cathedral organist W.S. Greig. He later studied with Flor Peeters in Belgium and, with the aid of an Italian Government scholarship, with Fernando Germani in Rome. He has given recitals throughout Ireland both North and South as well as in England, Sweden, Italy, France and America and his programmes reflect a special interest in contemporary music. He has become well known also for his organ improvisations to silent movies which include The Phantom of the Opera, Dracula and Nosferatu. He collaborated with the rock group 3epkano for an improvisation to the 1930′s classic film The Cabinet of Dr Caligari at the Kilkenny Arts Festival.